Dangerously Low (40/365) – Annoyingly Boring? 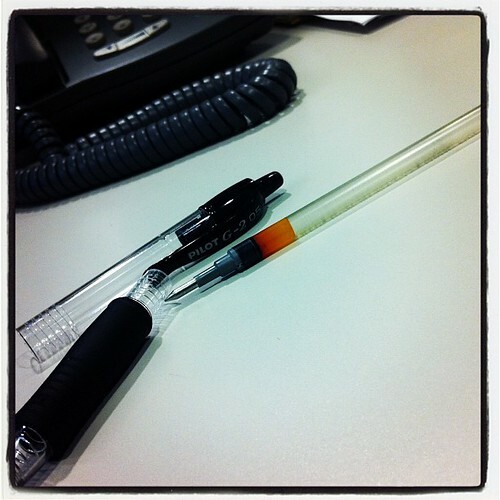 My Pilot G2 .5 mm pen – best mass-market pen going! – had been running lower and lower. The morning of the 10 things were reaching critical status! Not that you asked, but that’s my daughter’s favorite as well.